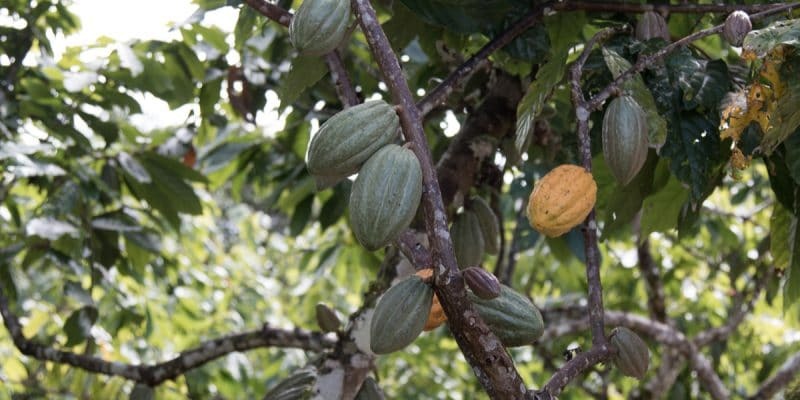 The main cocoa-producing countries, Ivory Coast and Ghana, along with the world's largest chocolate and cocoa companies, approved on March 4, 2019, action plans to halt deforestation in the cocoa sector and restore forest areas. These commitments are part of the Cocoa & Forests initiative, launched in November 2017 at the United Nations Climate Change Conference in Bonn, Germany. Ghana and Ivory Coast, West African neighbours, alone account for nearly 60% of world cocoa production and have just taken decisive measures to protect forests. Both countries have signed and approved their detailed action plans for environmentally friendly cocoa cultivation. Through this act, governments and companies involved in the cocoa production, supply and processing chain commit themselves to no longer convert any forest land for cocoa production and to eliminate illegal cocoa production in protected areas. The action plans focus on forest protection and restoration, sustainable cocoa production, farmers’ livelihoods, community engagement and social inclusion. The National Plan for Ivory Coast is based on the government’s strategy adopted in May 2018, with a focus on the adoption of the new forestry code; the creation of a national forest conservation and rehabilitation fund; the development and implementation of the national cocoa traceability system; and the implementation of pilot projects in five priority regions. For its part, Ghana’s national plan for Ghana builds on the REDD+ programme, which aims to significantly reduce greenhouse gas emissions from deforestation and improve carbon storage through sustainable forest management. Priority actions in this plan include intensifying landscape approaches to halt forest degradation in six intervention areas, which are all hot spots. In addition, cocoa yields have been improved through the adoption of smart climate practises and supply chain mapping has been strengthened. According to Rick Scobey, President of the World Cocoa Foundation (WCF), one of the key players in the development of these action plans, the combined actions of these plans will play a crucial role in sequestering carbon stocks and combating global and local climate change, in accordance with the Paris Climate Agreement. “This is a decisive commitment. For the first time, business and governments have come together in a joint public-private partnership, because we recognise that neither business nor government alone can solve the problem.” Said Rick Scobey. According to WCF figures, at least 2.3 million hectares of the Upper Guinea rainforest in Ivory Coast and Ghana were cleared for cocoa farms between 1988 and 2007. The result: a loss of vegetation cover of 17% for Ivory Coast and 13% for Ghana. In its mission, WCF also published initial plans for companies involved in the cocoa sector in Ivory Coast and Ghana. Each of these companies has until the end of March 2019 to publish its own individual initial plan. All these plans are being developed as part of the Cocoa & Forests initiative, launched in November 2017 at the United Nations Climate Change Conference in Bonn, Germany. To date, the Cocoa & Forests Initiative also has 33 of the world’s largest cocoa and chocolate companies among its signatories, representing about 85% of global cocoa consumption. RWANDA: Government joins forces with China Bamboo to promote the product.